The scheduled World Economic Forum, held at the end of January of this year in a Swiss town of Davos, was noteworthy in several ways. First of all we would like to highlight that its focus on Globalization 4.0 is a direct throwback to the times when the concept of the Fourth Industrial Revolution made its appearance in Germany decades earlier, with its key tool, denoted by the term digitalization (that has already become a meme). Much has been written out about miraculous consequences (social and public ones too) of transforming this concept into reality. The outcomes include remarkable possibilities: imagine an individual, freed from routine work, spending his time engaged in creative pursuits, no less valuable than those of Bach and Rafael (with the help of digital and artificial intelligence technologies). From the author’s point of view, this is yet another concept of social utopia, created in recent centuries with active participation of a “dark German genius”. For instance, the idea that majority of people will spend their newly acquired free time on arts and crafts raises doubts. As human beings are prone to irresistible temptations as a result of abundant spare time (not spent breadwinning). It is worth reiterating that Bachs and Rafaels of this world are a rarity in the story of human revolution, and are not required in vast numbers. In general, a discussion about our mysterious future as a species in the context of the Fourth Industrial Revolution, at a time when grim economic forecasts are being made (for the upcoming year this time), elicits associations with a group of literary giants of the early Renaissance period who attempted to conquer the feeling of fear, triggered by an outbreak of yet another plague, by telling each other amusing tales rated 16+. Incidentally, the word “horror” was used in commentaries describing the mood of participants of the penultimate Davos Forum. Admittedly, one intuitively felt a source of panic stemming from these reports, which did not include even a somewhat comprehensible description of it. During the Forum 2019, the Managing Director of the International Monetary Fund (IMF), Christine Lagarde, surmised that the source of this panic could be the fact that resources of all the international financial institutions were not even close to meeting the most basic needs of the world economy. The Davos Forum seemed more out of step with global challenges than before, as the leaders of the United States, Great Britain and France chose to ignore the event. Increasingly acute internal problems (unique to each of the nations), which these countries are experiencing nowadays, are much more critical in nature and need to be resolved as a matter of priority. In the absence of the heads of state of the previously mentioned powers, the Prime Minister of Japan, Shinzo Abe, the German Chancellor, Angela Merkel, and the Vice President of the People’s Republic of China, Wang Qishan, were the most prominent figures at the Forum. 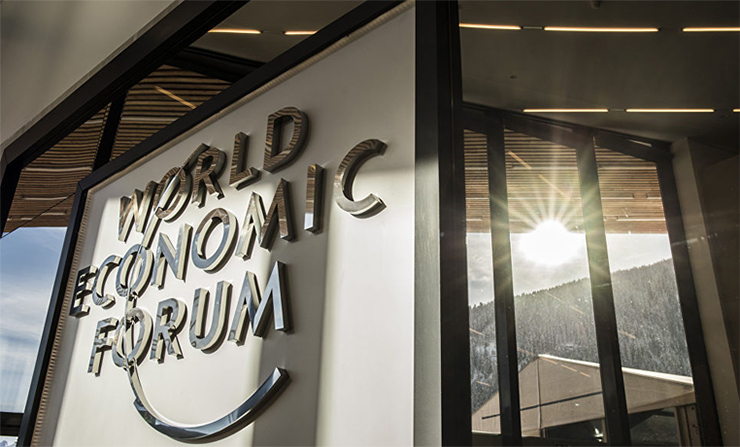 One can discern truly noteworthy symbolism in the long-expected reduction of impact of the Davos Forum, which has become more and more out of touch with our evolving realities, and in the absence at this 2019 event of traditional powerful world players, and instead in the attendance of new ones. We are witnessing a collapse of the current world order, established for a fairly short time at the end of the Cold War. Hence, practically all the international institutions, inherited from the most recent participants, of the current stage of the Global Great Game have lost their relevance and, if you would, creativity. As a result, violations of international laws, which are becoming less and less relevant in the present climate, are on the rise. China’s reaction to the decision, made by the Permanent Court of Arbitration in the Hague on 26 June and related to China’s claims to 80 – 90 % of the South China Sea and several archipelagos in this area, is well known. The presence of Japan, Germany and China at the Davos 2019 Forum at the end of January of this year lends further proof to the fact that three new leading participants have appeared in the Global Great Game in recent years. But their attendance is not indicative of the importance of the Forum itself, which, for the most part, managed to generate interest at the end of January of this year due to keynote speeches given by official representatives of the three previously mentioned nations. The key theme of Shinzo Abe’s speech was a reiteration of the need to re-establish trust in global trade and to avoid a repeat of last year’s “tariff war” according to an “eye for an eye” principle. Another key point, made by the Prime Minister, served to confirm Japan’s current course, aimed at strengthening globalization efforts in the world economy. In Shinzo Abe’s opinion, the fact that his nation signed the Economic Partnership Agreement on free trade with Europe in the summer of 2018, and that the Comprehensive and Progressive Agreement for the Trans-Pacific Partnership (CPTPP), effectively headed by Japan, came into effect in 2019 supported his point. The euphemisms used by the Japanese Prime Minister are understandably noteworthy, as an instigator of the trade war between the two world powers (the United States and PRC), who set in motion processes adversarial to the entire world economy, happened to be Japan’s key ally. However, this nation believes (somewhat justifiably) that it is simply trying to “restore fair practices” in its trade with China, as well as with its main allies, such as the European Union and Japan too. Japan’s Prime Minister was also unable to directly “point his finger” at the main culprit challenging the process of globalization, who, at present, is Japan’s ally with its motto “America First”. Angela Merkel’s speech explicitly addressed grievances expressed about the sudden rise of the role Germany was playing in world affairs. Having listed challenges to global stability (as climate change, natural disasters, cyber and terror attacks), she pointed to the need to restructure international institutions, starting with, first and foremost, the UN Security Council. Ms. Angela Merkel stated that Germany was prepared to take on substantial responsibilities by becoming a permanent member of this vital international institution (Japan has voiced similar intentions). As for problems with the global economy, she called on the participants to prevent financial crises, such as the one in 2008, at all costs. Incidentally, it is worth mentioning that the world has not fully recovered from this crisis. This theme of how globalizing the entire global economy benefits everyone, which was part of the speeches given by Japanese and German leaders, was expressed most clearly by the Vice President of PRC, Wang Qishan, in his talk. In his opinion, the process of globalization has enormous potential “that derives from harnessing the comparative advantages of countries and enhancing economic connectivity”. It was easy to discern a political message in his description of ancient Chinese culture “The Chinese culture values the teachings that one should help others to succeed while seeking one’s own success, create a world for all, treat others with respect and pursue win-win cooperation. We reject the practices of the strong bullying the weak and self-acclaimed supremacy”. However, it is worth noting that the nation (i.e. the USA), which this message is addressed to, accuses China of similar behaviour, for instance, in the South China Sea and in its relations with Taiwan. The pro-globalization mood at Davos 2019 was most likely forecasted by Washington. And considering the fact that Donald Trump’s administration supports a course, which directly opposes the pro-globalization approach, (for now in the sphere of economics, but judging by U.S. recent statements about NATO, it will soon affect politics too), the presence of the United States at the summit did not make any sense. Everything the American President felt the need to say about this trend in the global economy, he did voice a year ago at the Davos 2018 Summit. It appears that the time has come to announce a competition, which involves submitting answers to the question “Who, out of the somewhat important political figures, will attend the next World Economic Forum?”.